Thanks to $100Gourmet, a Singapore culinary program, we get to experience the dishes coming from one of the finest chefs around the world, including those within our home ground. Every month, an award-winning overseas chef will pair up with two top Singapore-based restaurants to create a collaborative 6-course meal. 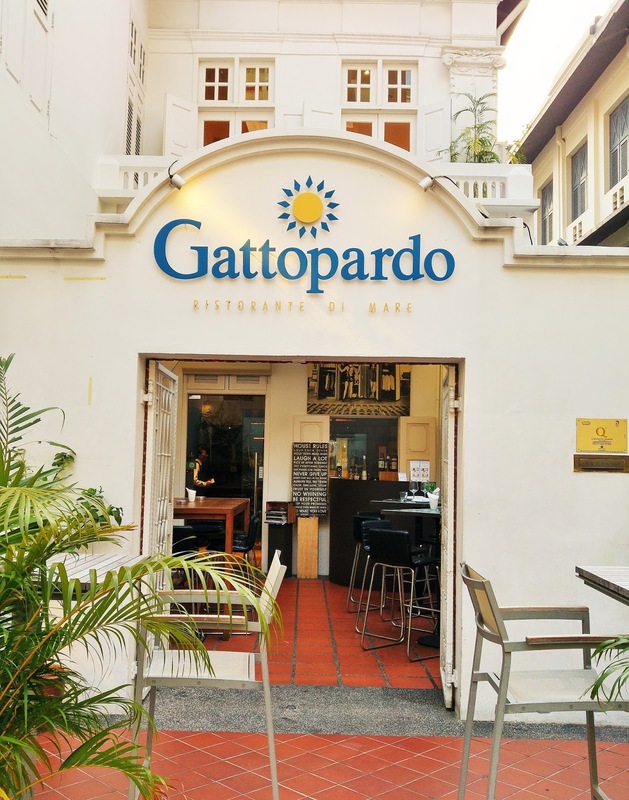 For the month of May, Chef Lino Sauro of Gattopardo at Tras Street, the restaurant team that scored #1 at SAVOUR Gourmet, collaborates with the King of Carbonara, Luciano Monosilio from Rome. The seating was communal, started at 7 30pm. 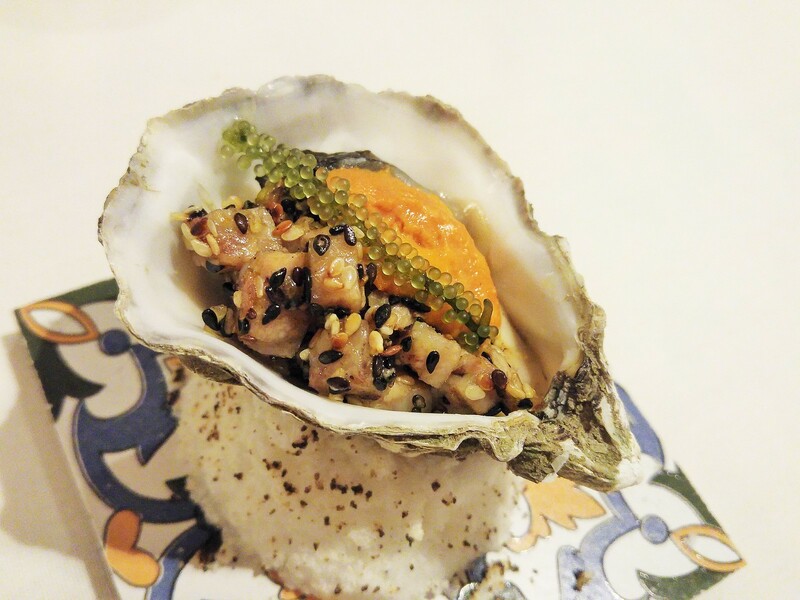 We started with Oyster, boldly paired with Uni, Lard and Sea Asparagus. All together it formed a rather acquired taste. Just as elegant as the Oyster, next we had Sicilian Red Prawn, with Coffee & Milk. 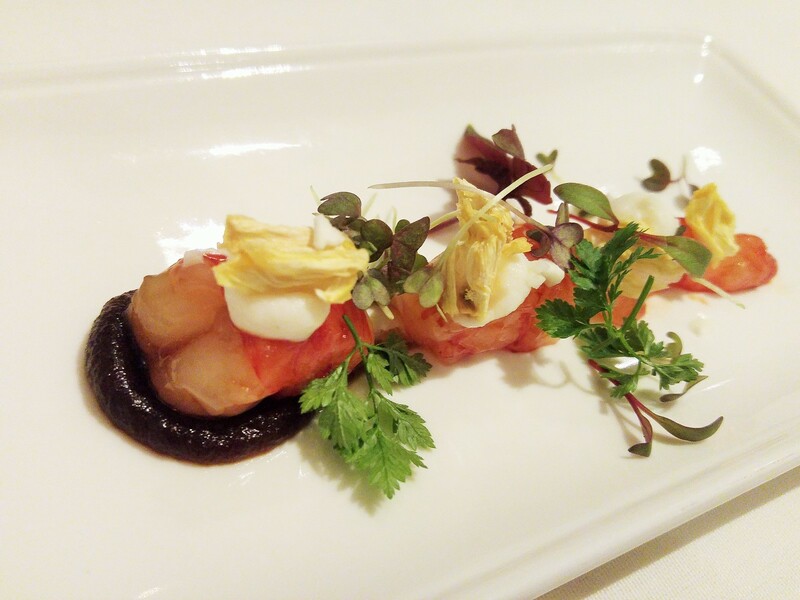 Like Japanese sweet prawn, it was succulent and packed with sweetness. The coffee jam was in the right portion and did not overwhelm its delicate flavour. 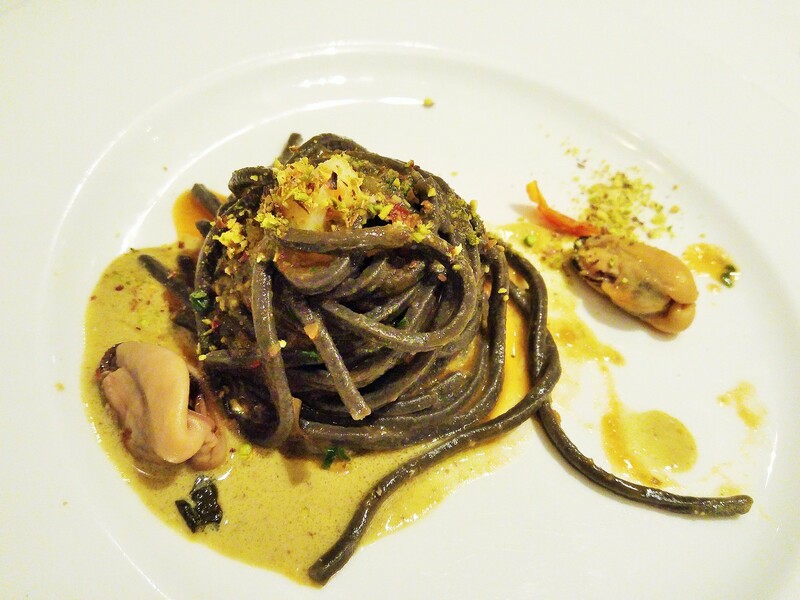 For mains, we had Squid Ink Spaghetti. The added rough texture of the spaghetti helps to hold the pistachio pesto, hence every bite of it has a sweet, nutty flavour to the briny, savoury pasta. I enjoy its firmness, and that it is gentler and lighter than regular spaghetti. 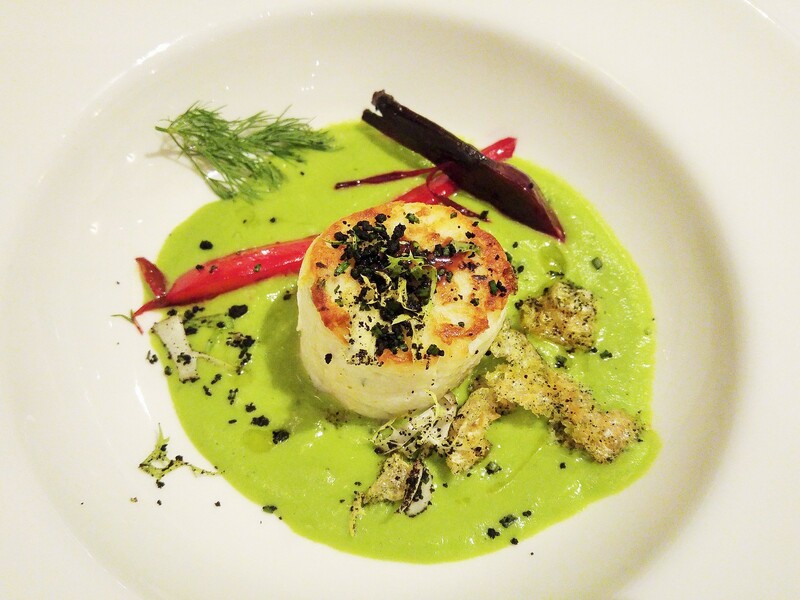 Roasted Monkfish Filet formed a compact cylindrical shape, which I thought added to its natural firmness. Nicknamed “the poor man's lobster”, I do see a little resemblance to lobster from its texture. The green peas cream elevated its sweetness, with the beets confit giving some tangy punctuation at intervals to the creaminess. Our final main ended with Grilled Lamb Chop, that was surprisingly tender, and almost attaining a melt-in-your-mouth texture. I could hardly taste any gaminess. 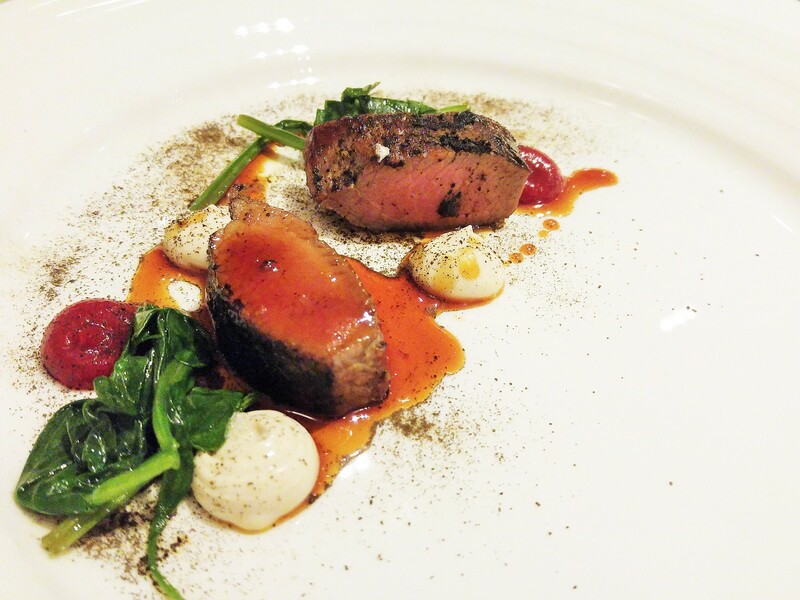 The tart raspberry sauce helped to cut the richness of the meat, and also enhanced the smoky flavour of the meat. 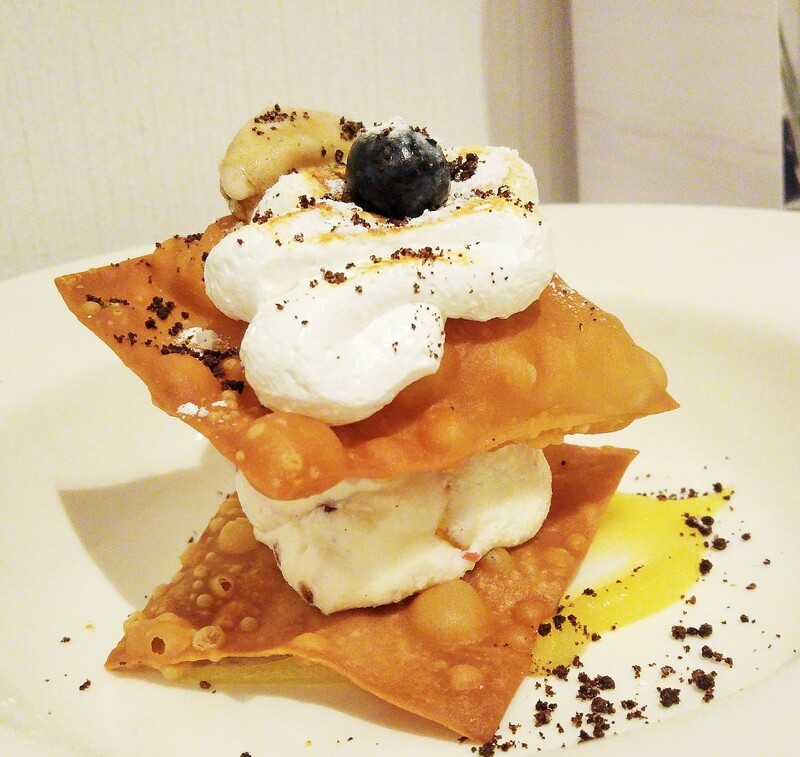 Our dessert was created by both chefs, a deconstructed version of the traditional Cannolo, hence it is an Almost Serious Cannolo Siciliano. What's still traditional is the cream in between the crisped pastry, which is dotted with candied citrus peel. The coffee sorbet on top was an interesting contrast to the citrusy flavour. For June, Chef Kentaro Torii, the Executive Chef of Bella Cosa will be collaborating with IKYU and Lewin Terrace. At $100++, tickets to $100Gourmet are available at the start of every month.